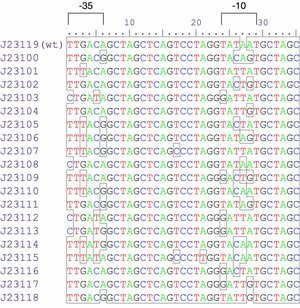 Saba: parts BBa_J23110 and BBa_J23118 are the same. 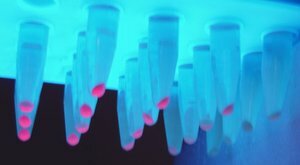 The Yale iGEM team has assembled this promoter to citrine (an improved version of YFP, with excitation peak at 514nm and emission peak at 527nm) and a T7-terminator to quantify the level of expression in E. coli and in non-model organism hosts. 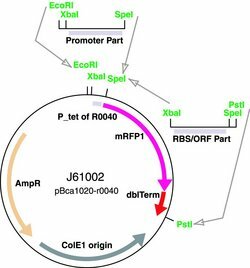 This construct has been successfully cloned into E. coli using the broad-host range vector pKT230, a RSF1010 derived plasmid, as well as using the pPZP200 plasmid which can be transformed into agrobacterium and rhizobium. Leaky expression of citrine was observed. This construct is available as the biobrick the biobrick K1856003. 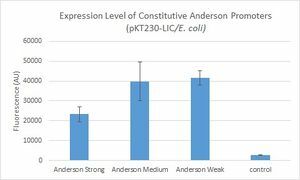 The Yale iGEM team found fluorescence levels nearly fifteen times above the baseline level in E. coli cells transformed with the promoter-citrine construct. 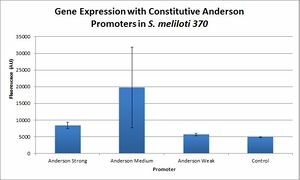 We also found this promoter to be effective in driving gene expression in S. meliloti, with fluorescence levels of over four times that of the baseline observed.